Would you like to play the Dark Knight in a game of blackjack or poker? 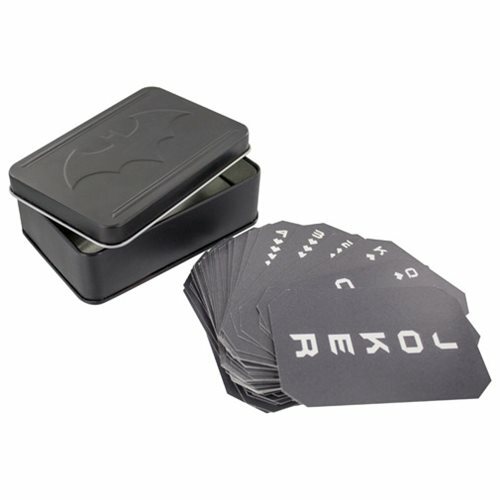 You can with these Batman Symbol Playing Cards! They feature the Bat-symbol on one side and unique king, queen, etc. deco on the other, and they come in a nifty storage box. Ages 13 and up.